Envoc is a software design, development, and application hosting firm, headquartered in Baton Rouge, La,. Envoc’s services range from custom software development, branding campaigns, web design, user interface/experience, point of sales, mobile applications, intranets, portals, content management, and web applications to Envoc created off-the-shelf software, including BubbleVision, Inspection Apps, and FlipFire. Fi-Soft offers comprehensive business solutions for small business owners. Our services include Quickbooks traning and support, payroll processing, secure credit card payment processing, inventory management and payguard security solutions for accounting. Probill was written from the ground up to automate recurring billing. Whether you draft bank accounts, charge credit cards, print or email bills, Probill has a solution for you! Generate invoices, statements, custom letters, and late notices all at the touch of a button. Demo Probill today with our 45 day free trial! PaySimple was developed to simplify the lives of small business owners through professional, affordable receivables tools. Easy-to-setup and easy-to-use, PaySimple will help you spend less time chasing payments and more time growing your business. The USA ePay gateway supports all of the major platforms (First Data, TSYS, Global, Paymentech) in the credit card industry and works with VeriCheck®’s check platform. USAePay is also pleased to work with many of the larger merchant service banks in the US and abroad. MUNIRevs helps municipalities ensure they are receiving all of the revenues they are entitled to. Using their system & services, municipalities are able to achieve greater and more timely compliance on business licenses and taxes. MUNIRevs is a fully automated solution for municipalities. 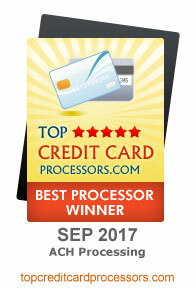 Your solution to Simple Affordable Payment Processing. With an emphasis on simplicity, Payment Portal specializes in taking your business where it needs to go. Through a powerful software gateway, Payment Portal provides your business with exactly what it needs, from interactive payment forms to powerful software ticketing systems. Contact Payment Portal today to receive a demo or more information on their services. Nodus Technologies is a leading provider of electronic payment, e-commerce, and retail business process automation software for small and mid-size companies. Nodus leverages Service Oriented Architecture and web services technologies to provide cost effective, comprehensive: e-commerce, electronic payments and retail management solutions for Microsoft Dynamics™ ERP. RentRollApp helps property managers collect rent online. SettlementApp helps collection agencies and attorneys collect money more intelligently. Continue To Give specializes in online giving and fundraising websites. Easily Raise money and accept donations online with our fundraising, crowdfunding, and online tithing apps for churches, non-profits, missionaries and individuals. Continue To Give makes mobile giving easy with text-to-give and QR code fundraising apps along with kiosk giving! Banquest has developed proprietary solutions for businesses that process B2B credit cards (Corporate Cards, Purchasing Cards, GSA Cards) and large ticket transactions. When utilizing Banquest’s processing systems, merchants can realize savings of greater than 1% on B2B and Large Ticket transactions.